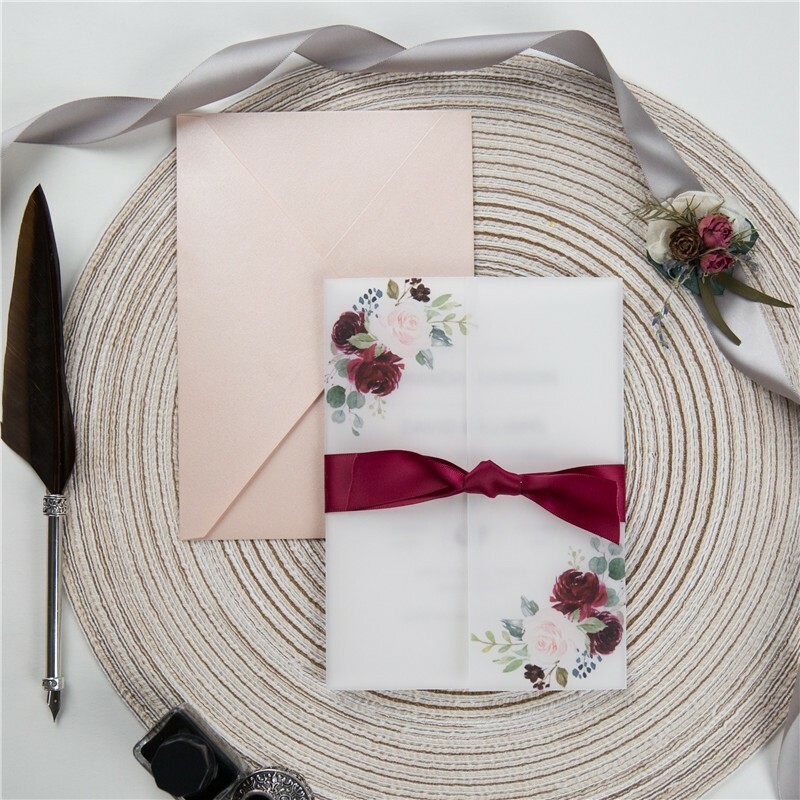 Burgundy and blush have an elegant femininity to them. 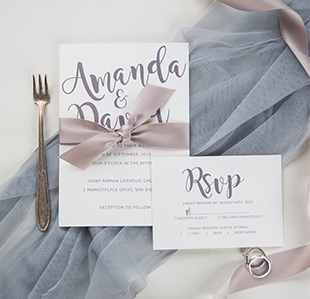 It is a sophisticated palette and this invitation is just inspired from this color palette. 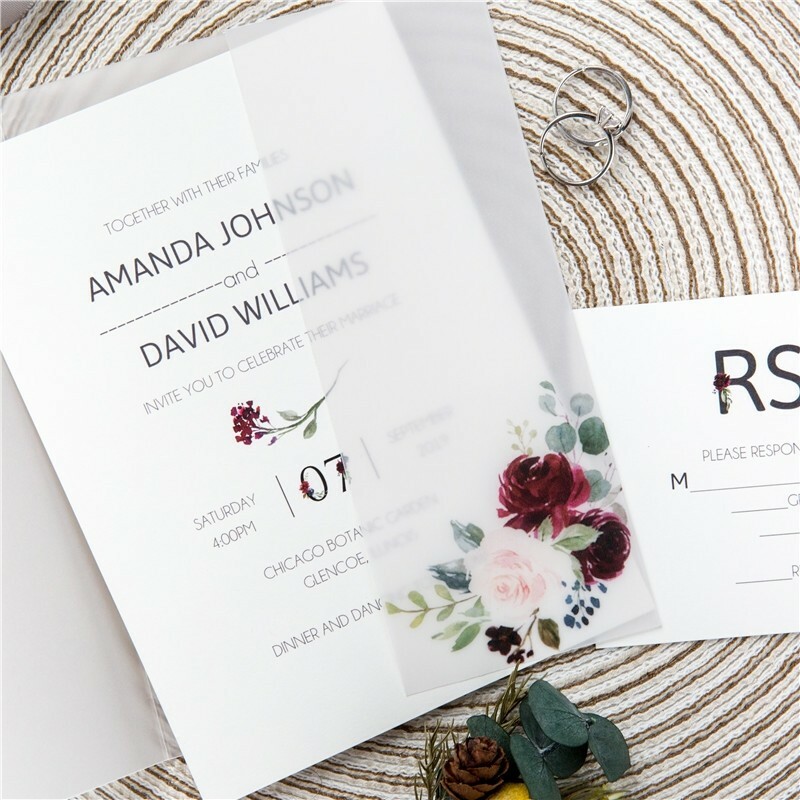 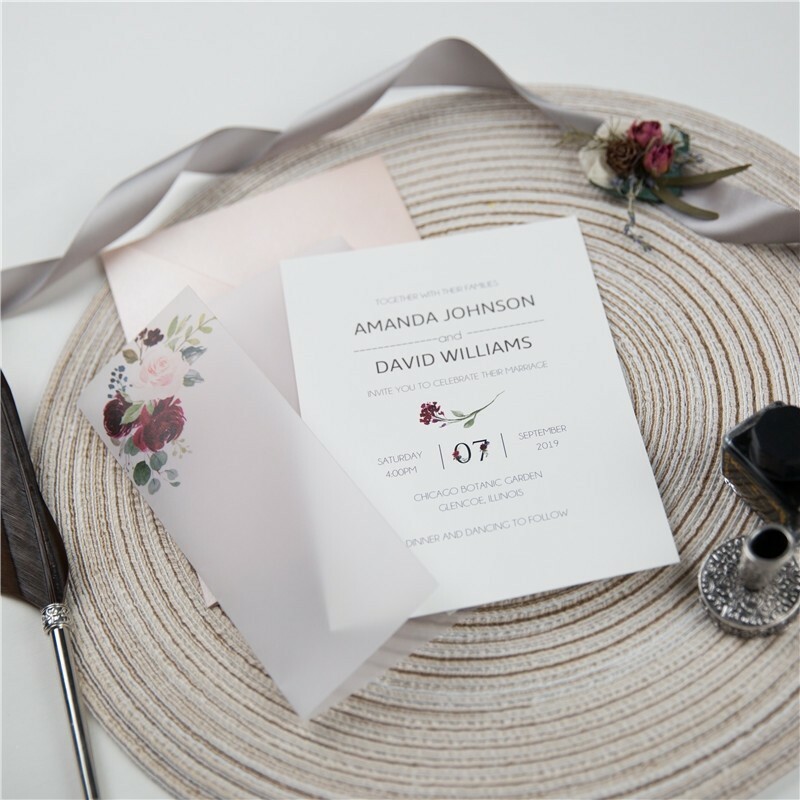 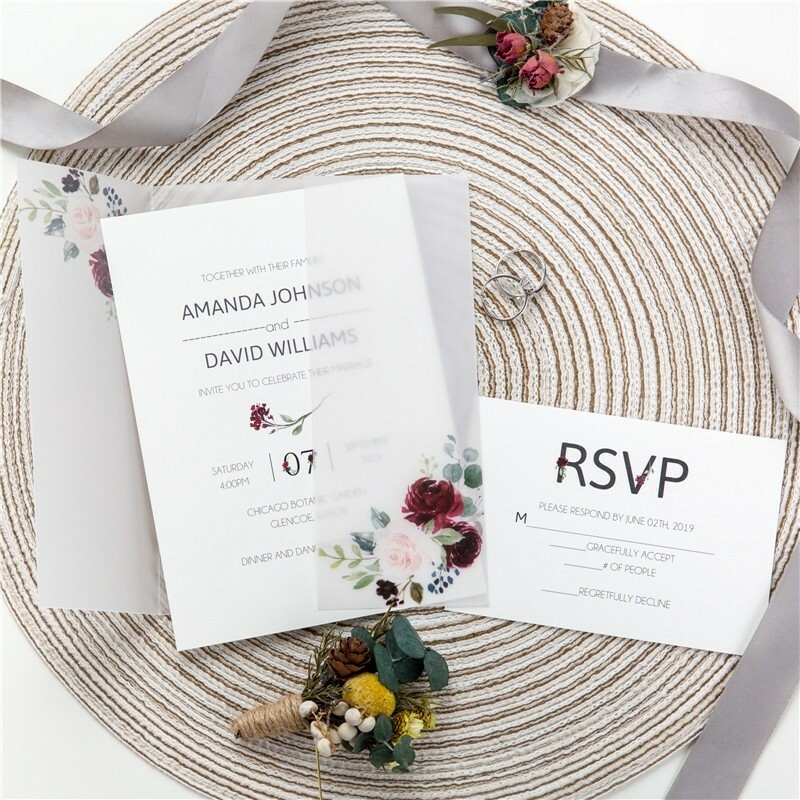 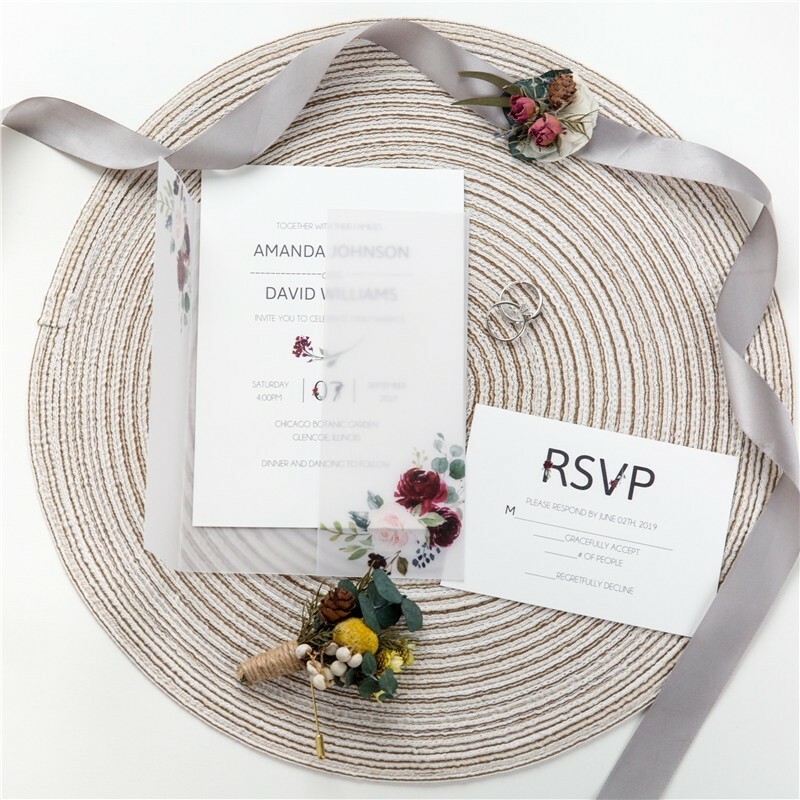 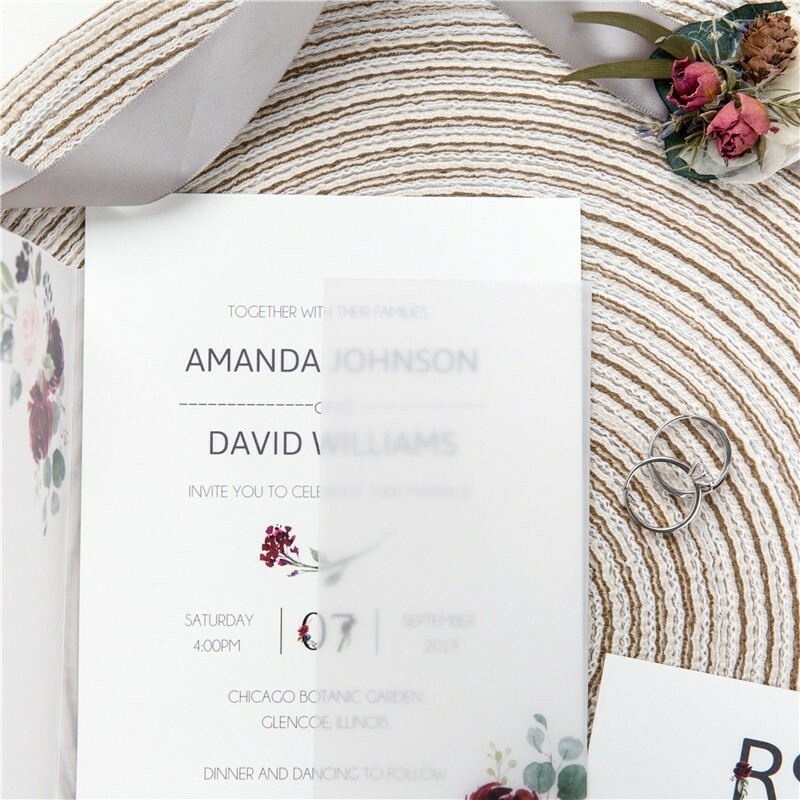 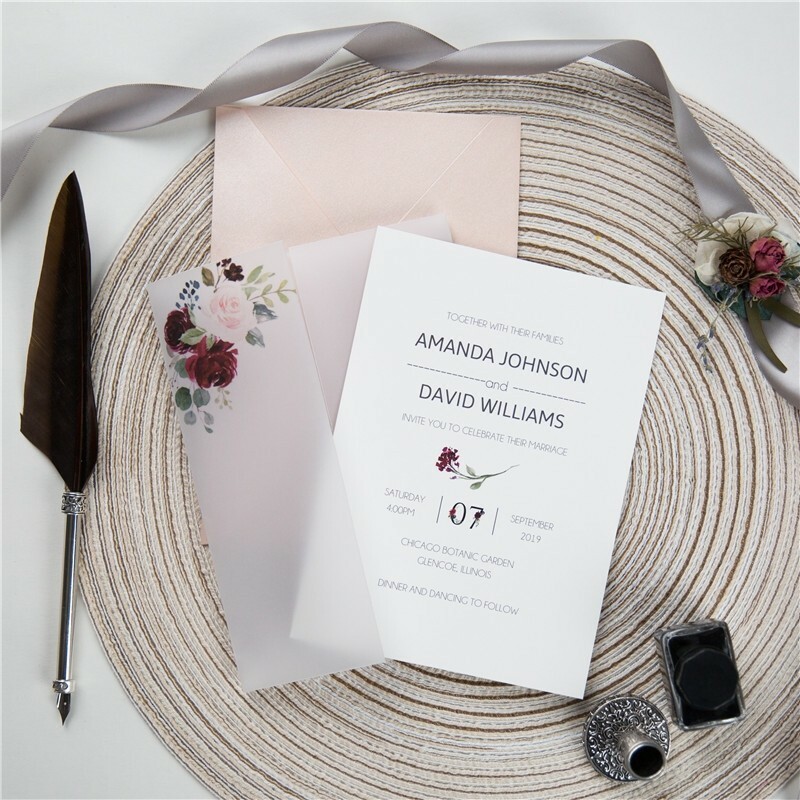 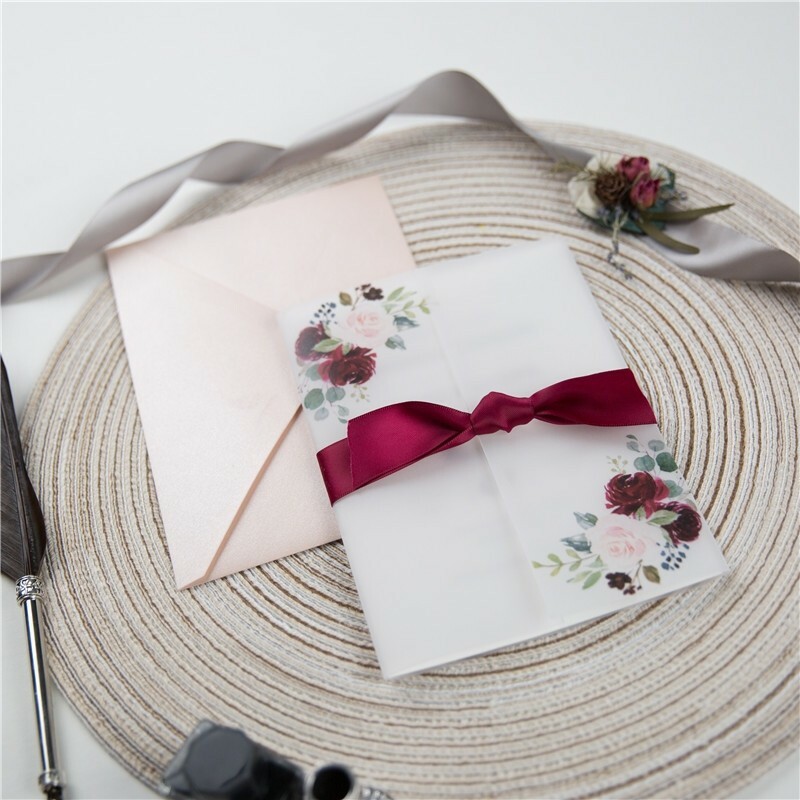 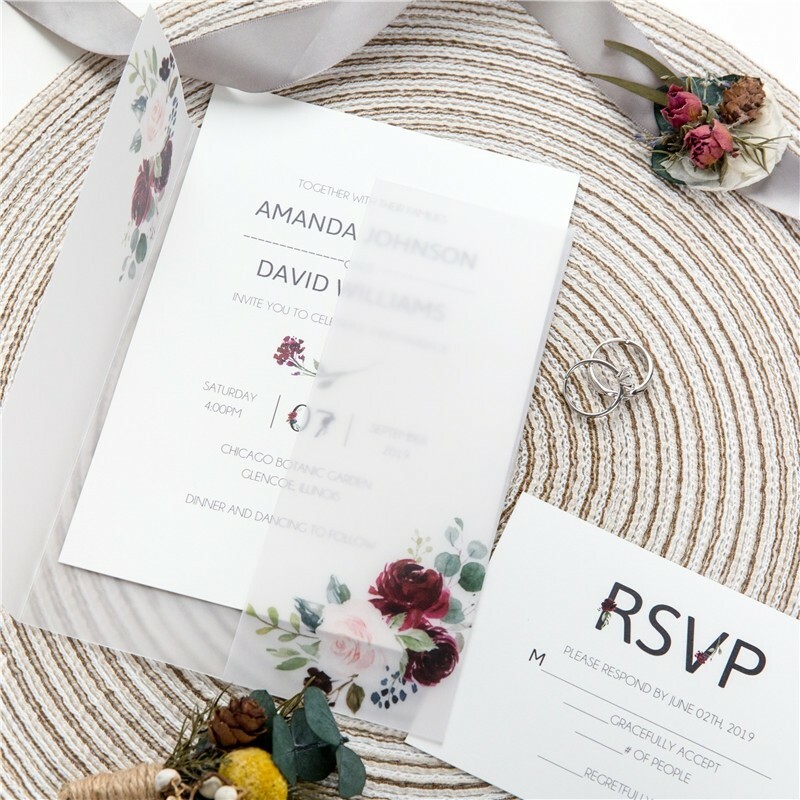 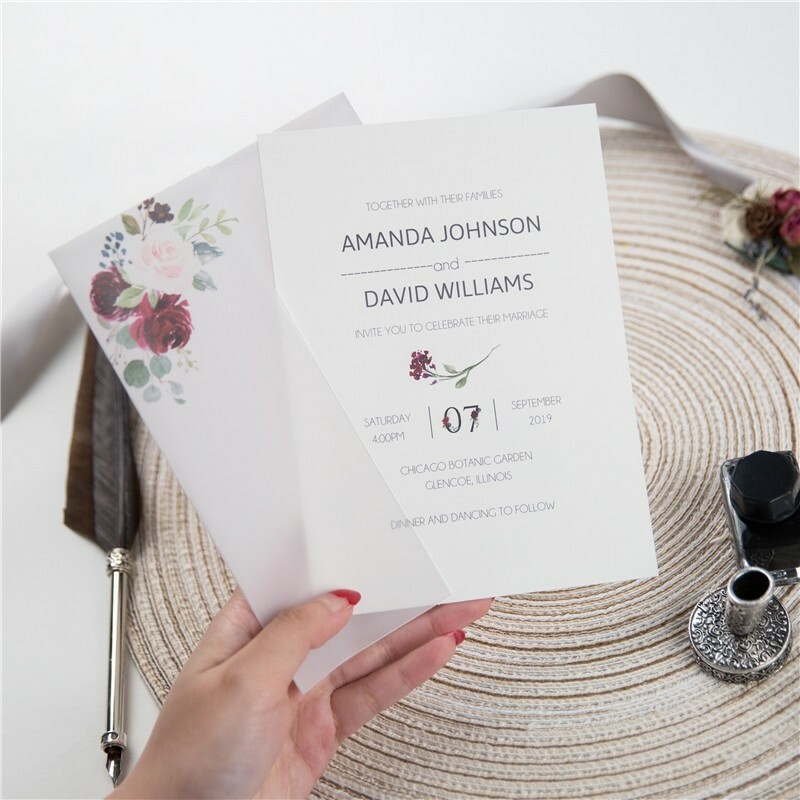 The burgundy flowers on the vellum paper wrap match the inside invite in a perfect way!